We have a range of bikes. 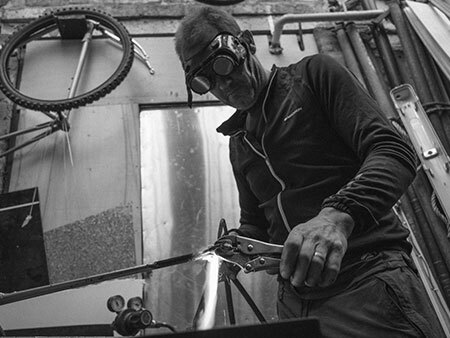 From refurbished bikes to custom steel. 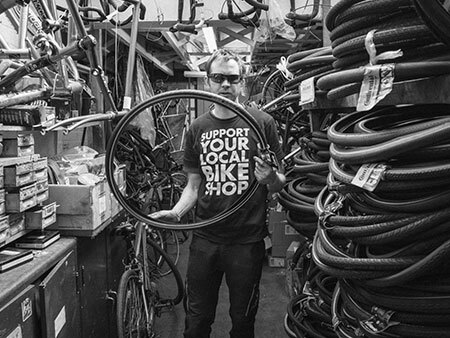 Big sellers are always functional bikes for use in the city and beyond. We hold a Selection of New Bikes from Cotic, Orbea, Dawes, Claud Butler & Charge. For the most up to date information on the bikes we have for sale, drop into the shop. 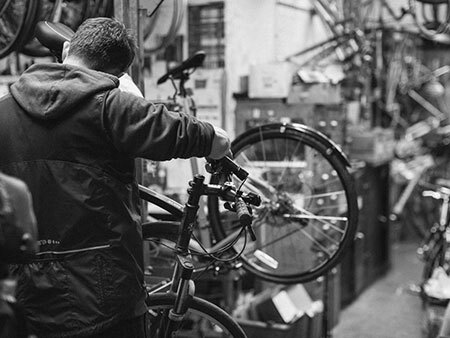 You should buy your new bike from a real shop rather than online (or a chain store) because the staff should know what’s going to fit the bill best, and can adapt the bike to be just how you want it from the off – often at no extra charge. Any settling in issues can be dealt with swiftly for free, and those rare manufacturing issues can be sorted out locally. – shops don’t want to sell stuff that is faulty or comes back. There’s no point saving 10% of the price on something you don’t want after all! We have a selection of used bikes for sale, serviced and/or refurbished. For the most up to date information on the bikes we have for sale, drop into the shop. 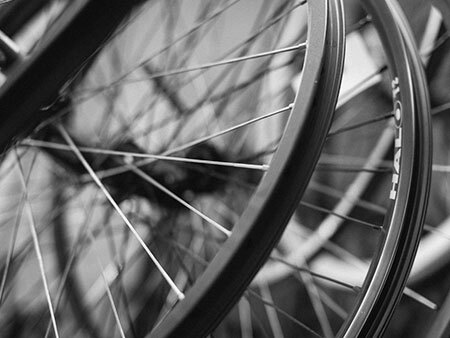 Used bikes are restored as necessary and offered guaranteed. 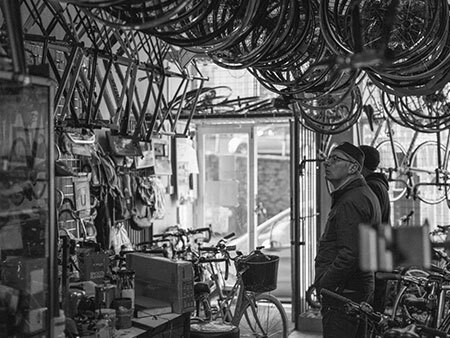 We have over 100 years combined experience fixing all types of bikes - from the high bicycle, commonly known as the penny farthing, to full sus 29ers - both dinosaurs of their age! 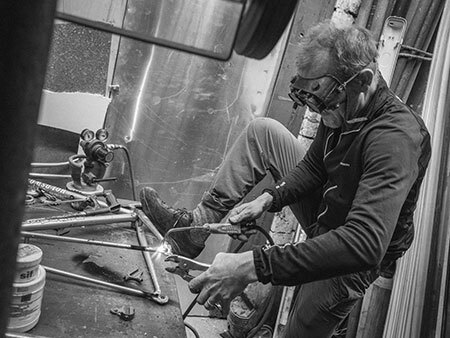 We undertake all repair work including frame repairs and modifications on steel, such as fitting disc mounts and replacing dropouts – the frame jig is in the basement! 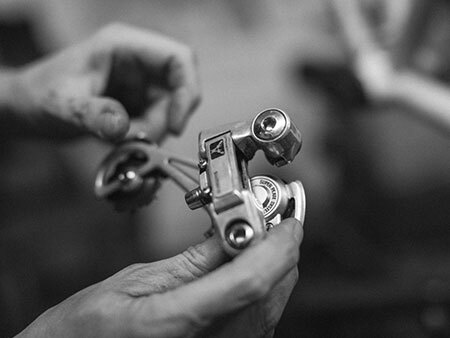 We carry out routine servicing, restoration, wheel building, disc brake and suspension fork overhaul. 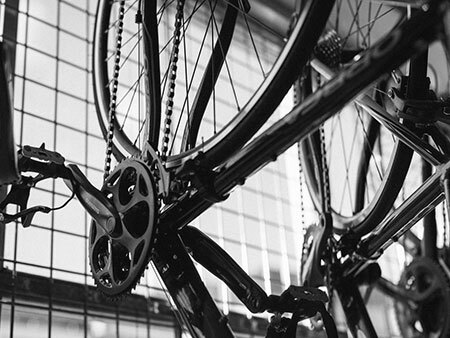 We are happy to advise on improvements to any bike – from a high roller to a midnight special. 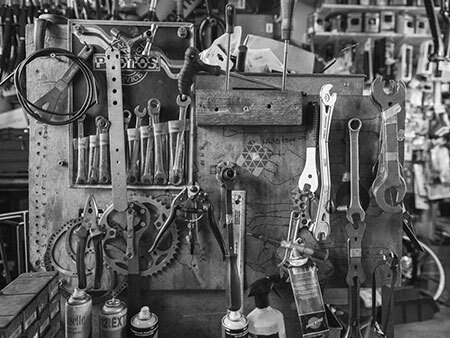 We have a lot of parts for and knowledge about older quality bikes, as well as huge amounts of stock for current stuff from tourney up to Ultegra and XT, some SRAM and Campy, and a whole lot of other parts we don’t see much of. We usually take the view that everything can be repaired. Unfortunately, on a low value bike, that sometimes means that something else will break almost immediately once one part is fixed. This can ruin the economy of repairing, but this problem can usually be traced back to the low quality of the machine in the first place. Those bikes that cost well under £200 when new are often the most expensive to ride, although we did lately have a bike whose racing groupset needed £300 of parts due to winter wear through only a few thousand miles of riding. I think the lesson is that it’s best to avoid salted roads with record and dura-ace. We are open 9-5.30 weekdays and 9.30-5.30 Saturdays.